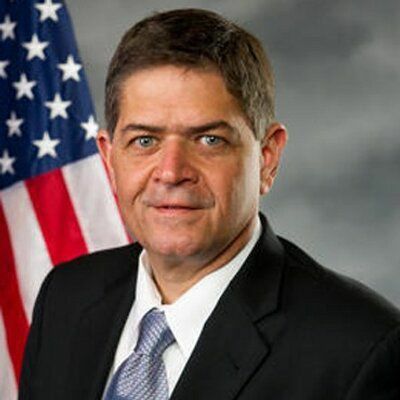 U.S. Rep. Filemon Vela has been appointed chairman of the General Farm Commodities and Risk Management Subcommittee of the House Committee on Agriculture. Vela, whose 34th Congressional District includes Brownsville, joined the Agriculture Committee in 2013 at the start of his first term in Congress, serving as the vice ranking member of the full committee during the 115th Congress. “To ensure the future of U.S. agriculture, it is imperative that we mitigate the risks inherent to farming with robust credit and insurance programs, which are under the jurisdiction of the subcommittee,” he said. The subcommittee oversees policies, statutes and markets related to major commodities and specialty crops like corn, cotton, grain sorghum, rice, sugar and wheat. It also oversees operations and policies of the Commodity Credit Corporation, crop insurance programs and commodity exchanges. Vela called the appointment an honor and expressed gratitude to Agriculture Committee Chairman Collin Peterson and his colleagues on the Agriculture Committee for entrusting him with the responsibility. Vela said he’s spent the last six years absorbing institutional and technical knowledge from Peterson and learning about issues impacting the nation’s agricultural industry. The congressman said he’s looking forward to using his new leadership role to address the needs of sugar growers, cotton farmers and other South Texas producers. Peterson predicted Vela would do an “exceptional job” for producers across the country because of his understanding of the issues that connect all farmers and ranchers regardless of where they operate. “He understands those needs and how his work fits in to our overall goals on the committee of practical solutions for producers, working families and rural communities nationwide,” Peterson said. Texas Farm Bureau Russell Boening congratulated Vela on the appointment and said he’s “served as a strong voice for Texas farmers and ranchers” as a member of the Agriculture Committee.